Do you have an engaged online community for your personal profile, brand or for your business? The trend now is creating a link between the traditional website promotion and social media marketing. If a blog post on a website catches your attention, it is most likely being circulated in all the social media sites like Facebook, Google+ or Twitter. Frequent public discussions of a company via social media, yield a higher engagement of businesses. Investing in social media marketing through various platforms is a great strategy to redirect customers to a website and definitely well worth spent for. Constant content updates to your website take some time but your efforts in doing so won’t go in vain. Stage 1: Build a foundation for social media community. 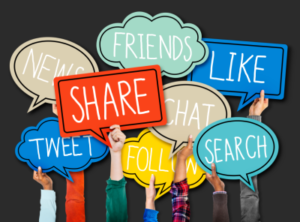 The first step towards creating a social media community is to build a foundation and foster connections that will help you attract and keep followers. You have to engage, share and promote your products and services in a manner by which your social community’s interest is sustained. Keep in mind that keeping your followers glued to your social circle entails two-way communications. Regularly share quality content that provides valuable details about your business with a focus on one-on-one interactions. Engage by answering inquiries and questions, thank loyal customers who take the time to share your content, address negative issues, and promote yourself as an industry leader. 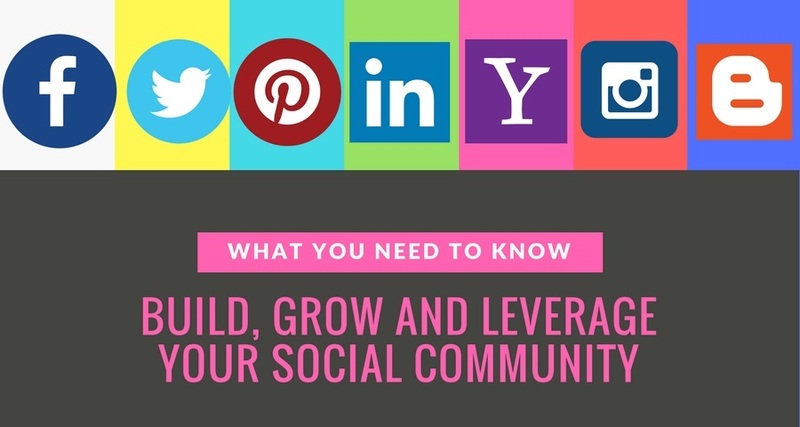 A pro-active social community can greatly help in turning followers to become community members who can show the level of commitment you aim for in building a strong foundation of your social community. Stage 2: Grow your social media community. Once you’ve built a sturdy base for your social media community, it’s time to scale. You just don’t want to grow your following, you want to build a targeted audience of engaged social media users and influencers. Here are three best practices for growing the right kind of social media community. Find people who represent your ideal community member: someone who is interested in or knowledgeable about your topic of interest, someone who is an engaged and regular social media users and someone who has an existing following. Reach out to them and engage in a personal, one-on-one conversation about the subject or industry as a whole—not your product or business. If you can make these influences a regular part of your community, they’ll prove invaluable in growing your audience. Most businesses have existing offline communities. These are the people that regularly buy from your stores or use your services, attend your events and sales and live or work in your area. They could also be vendors or partners. You’ve managed to make a connection with these people already. There’s no reason you can’t shift this offline community onto social media. Check-in question: Are your social media profiles listed on your website, and physical materials you distribute (print ads, flyers, even product labels or boxes). Make Social media an integral part of any event you host. And if you’re very close with members of your offline community, you could always actually ask them to follow you on social media. You might be surprised by how many people do just that. Check-in question: What is the next social media event that you can host? Have you encourage you team to encourage customers to follow your social media for updates? At some point, people got it into their heads that their following to follower ratio was important. Ignore this. What’s important is whether or not you’re achieving your social media goals. So be generous. Follow users that follow you, and engage with the content they share. Shout-out community members who contribute positively to your online discussions. Don’t skimp on Favorites or Likes. And if you’re able to, reward the people who stand out in your community. Send them swag or discounts. Send them hand-written letters. Just do what you can, within your means, to show your appreciation. This will pay off ten-fold as other users begin to see the benefits in being active members of your community. Once you’ve grown your social media community, never forget to always been engaging. It’s not enough to grow a community and then shift your focus to your product. 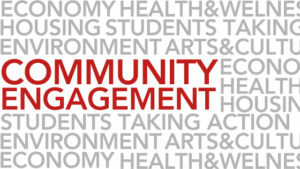 You need to maintain that engagement or your community will disappear. Check in question: What content and information can you plan to build and share? You’ve worked hard to build a community so that you can leverage it to achieve business goals. There are a number of ways to leverage your social media community. It’s important that no matter which ones you choose, you should never ignore the principles on which you built this community. You don’t want to throw everything you’ve built out the window for a quick sale. Collect feedback: Your community will be very in-tune with your social media presence as well as your business. You’d have a hard time finding a better audience from which to collect feedback. Conduct surveys and polls and ask your community, to be honest. You don’t want them to be positive, you want them to tell the truth. This feedback will help shape your social media and broader business strategies moving forward. Check in question: What survey and feedback questions can you poll? Crowdsourced content: If your social media community is truly engaged, you shouldn’t have a hard time crowdsourcing content from them. This could be very simple. You could run a photo contest and post the entries on Instagram. Or you may want more advanced content, and tap your community for blog writers or case studies. User-generated content is one of the greatest benefits of having a social media community. Check in question: Where can you source shareable content from? Amplify your news: When you do have a big announcement or piece of news you want to share widely, ask your community for help. If they have an interest in your business or product, many of them won’t mind sharing your news with your networks. This doesn’t only benefit the reach of your news, but also the impact since, as mentioned above, people trust their friends and family more than anything else when it comes to purchasing. Check in question: Which communities can you ask to share your news? Can you submit it to different media channels for further publicity?